One would imagine that the new Veranda Café in Kuwait City might have upped their usual insurance policy. 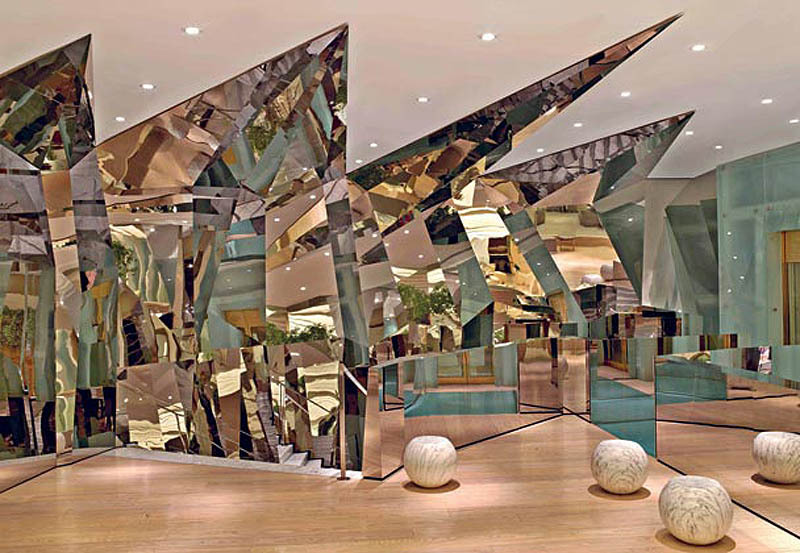 The striking mirrored design by Adam D. Tihany of the NYC-based Tihany Studio makes for a fun house hall-of-mirrors quality that looks like it could confuse even the sharpest person as they ascend or descend the staircase. 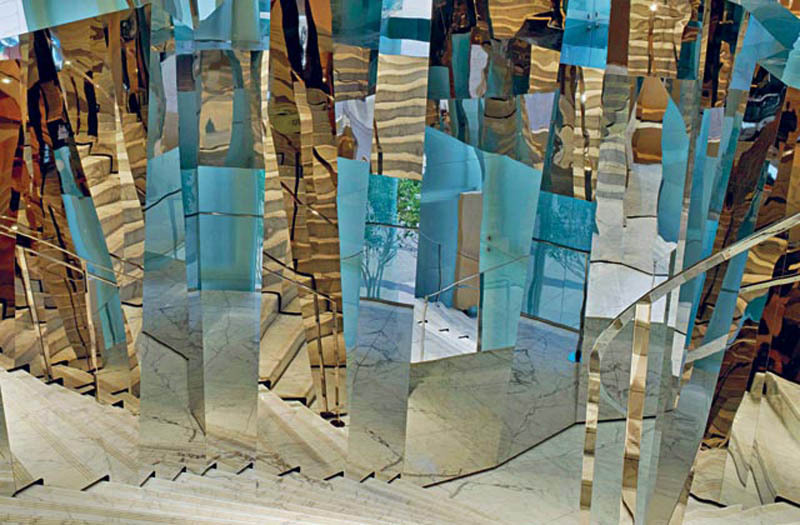 Made using pieces of steel shaped into fractal geometric forms and then covered with a mirror finish, the entrance to the restaurant continues up the walls and onto the ceiling all the way to the reception area. Probably makes for some fun photos, seeing oneself in multiple panels at the same time. Once inside the restaurant, the design continues in a slightly warmer style that also envelopes the space, but this time in undulating pieces of wood. Quite dramatic all the way around.